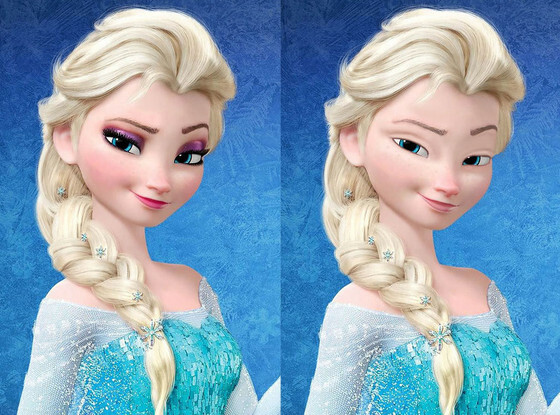 Frozen's Queen Elsa flaunts her simple look, and in our opinion she wears it well. Makeup is great and all, but sometimes you want that natural glow. 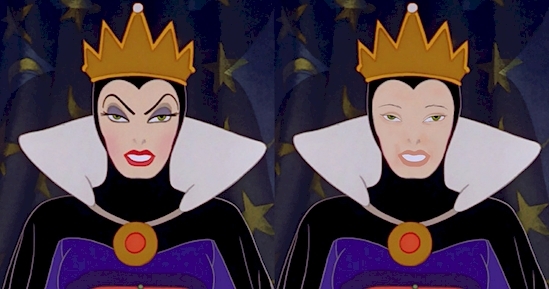 Queen Grimhilde, better known as the evil queen from Snow White and the Seven Dwarfs, looks a bit washed down without her usual eye shadow, lipstick, and brow liner. Not a pretty sight. 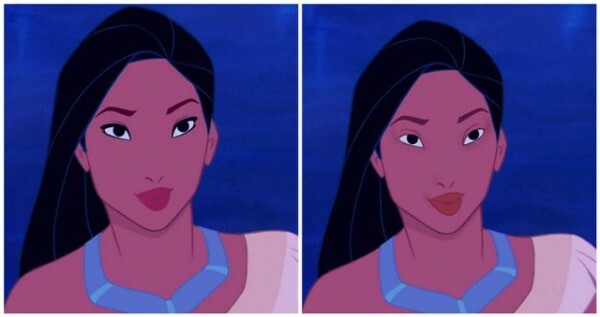 You wouldn't think that Pocahontas would wear makeup, living the natural lifestyle that she lives, but apparently she does. She looks just as beautiful without it, though. 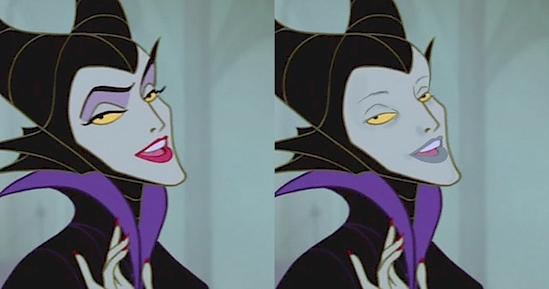 Maleficent from Sleeping Beauty is definitely far from a sight for sore eyes when she skips her usual morning ritual. Eyebrows so not on fleek. 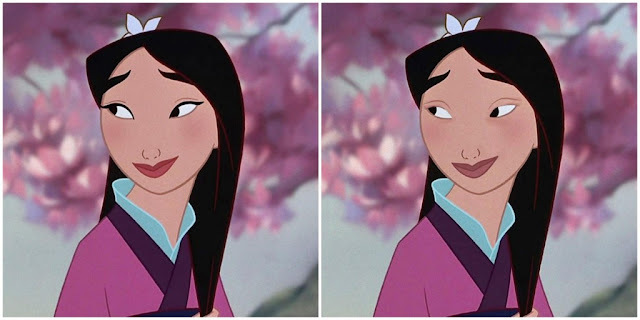 Mulan looks just as pretty even without the bold top eyeliner. All she needs is a blossom in her hair and a sword in her hand. 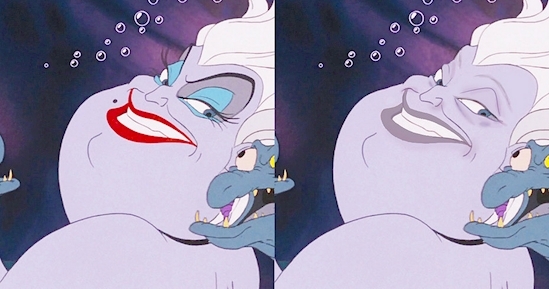 The evil witch, Ursula, from The Little Mermaid is a terror to look at no matter what, but with a bare face she actually looks slightly less evil, although no less horrific. 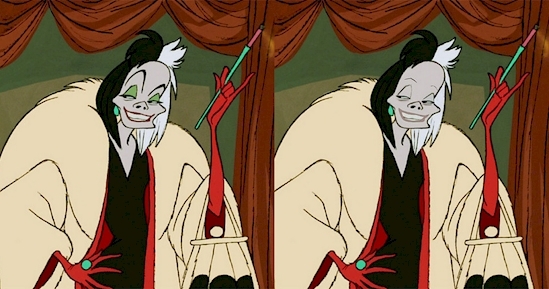 101 Dalmatians could have been a lot creepier with this makeup-free Cruella. Sure, she might look less intimidating, but look how washed down she looks! 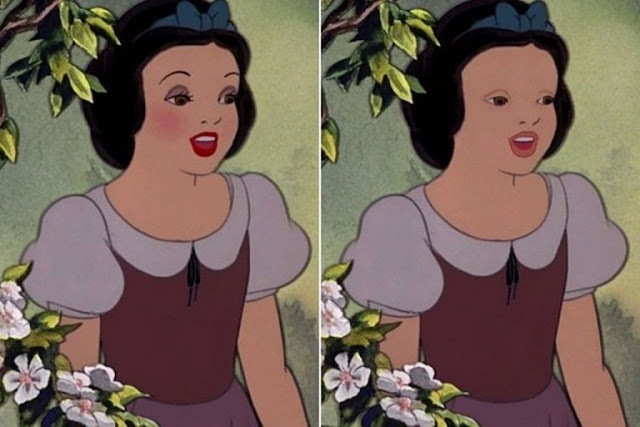 To be honest, we think Snow White better stick to her morning makeup routine. Her eyes are just a little too small and beady, and we're not even going to talk about her non-existent eyebrows. Yes, we know he's a male. And yes, we know he's a lion. 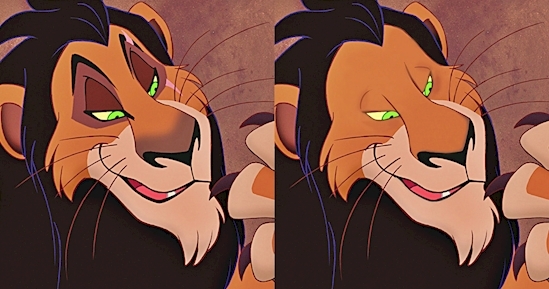 Apparently that doesn't stop Scar from touching up his flaws with a bit of eye shadow. He sure looks different without it. 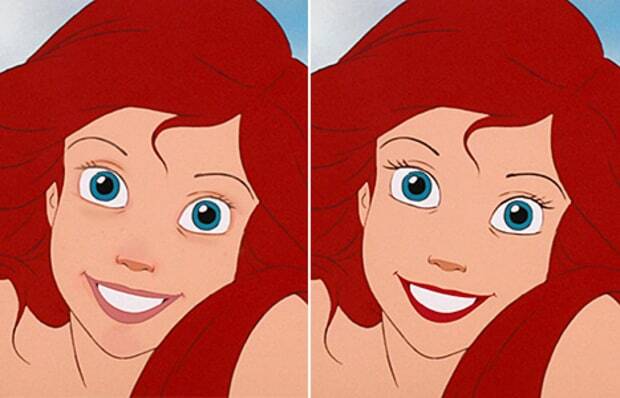 If you think about it, no makeup is really a practical choice for Ariel, because realistically it would all wash off underwater. Unless she has some heavy duty waterproof stuff. 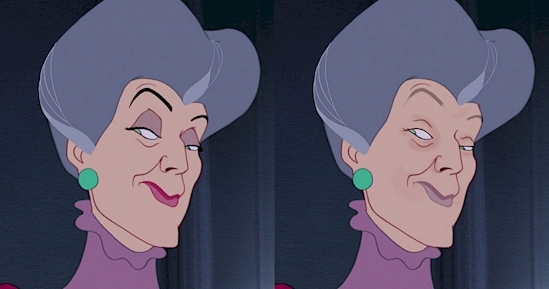 Cinderella's evil stepmother, Lady Tremaine, sure does not look very flattering without makeup. Although to be fair, she doesn't look flattering with it either. 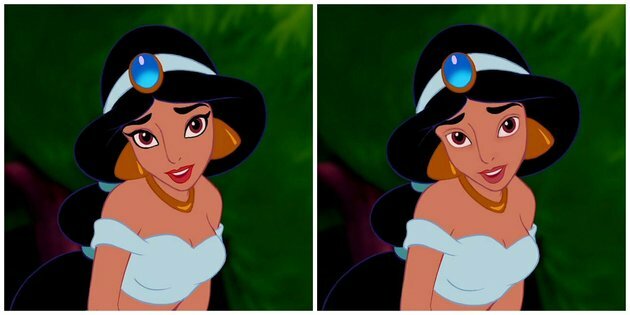 Princess Jasmine doesn't need eyeliner or lipstick to look stunning. Check out her beautiful natural look. 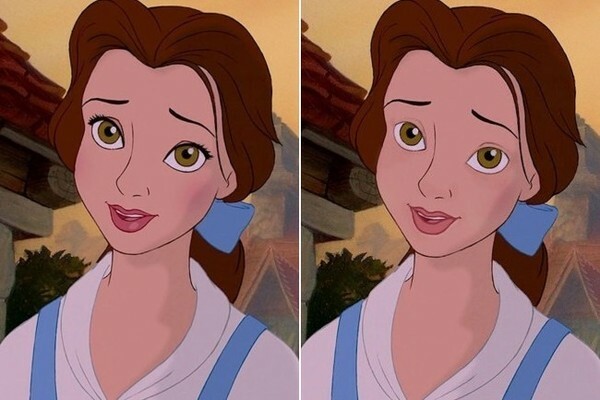 The beautiful Belle from Beauty and the Beast is another princess that doesn't need makeup to shine. Take a look at her "I woke up like this" look. 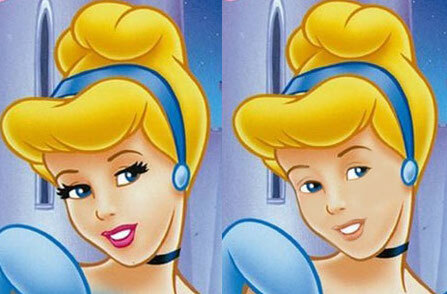 Cinderella definitely looks different with no lipstick or mascara, but we think she's still as pretty and elegant as ever.